The Marche Slave and The Farewell of Slavianka, Tchaikovsky’s and Agapkin’s marches against the Turks, are always going to be popular in Moscow, whatever the Turks do. John Philip Sousa is not a name that’s heard on Moscow radio, and his Stars & Stripes Forever will not be broadcast. 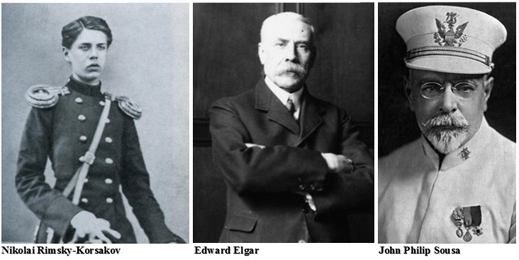 In the civilization ratings, Tchaikovsky, Rimsky-Korsakov, Agapkin, and Knipper have all overtaken Elgar’s Pomp and Circumstance. Listen why. 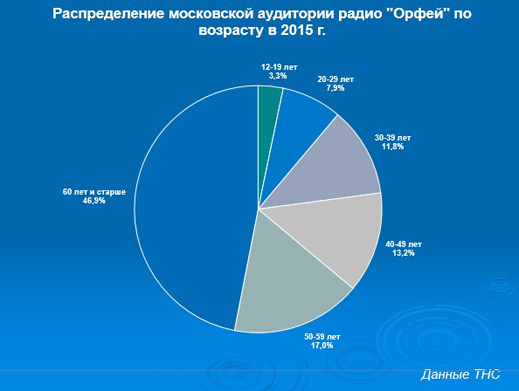 According to the latest figures from Oksana Serezhenko, marketing and advertising director for Radio Orfei, the monthly audience listening to the radio in Moscow has reached 389,200; this compares with 325,700 in 2013, and just 97,700 in 2005. Read the full report in Russian here. Except for the dip in 2006, the audience growth has been uninterrupted over the past decade. This is despite the serious recession in Russia which cut consumer incomes in 2008 and 2009. 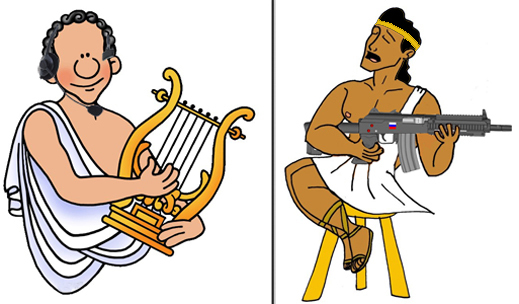 For the contributions to Russian classical music during this time by Presidents Vladimir Putin and Dmitry Medvedev, click to open. For the last story on Radio Orfei, click to open; and for the archive on the Stalins of Sound, read this. Studies of American audiences have long connected the classical music audience to graduate education and to high income. But even with the skew in favour of rising incomes for the rich in the US, a shrinking proportion of consumer income, big and small, is spent on classical music in its live concert, recorded disc, and broadcast subscription forms. But a larger aging population, and cheap music reproduction and broadcasting technologies, have meant that at least in the US, dwindling audience numbers haven’t stopped the multiplication of classical music revenues. In Russia, according to local sociologists, high education, high income, and high taste don’t correlate, so the classical music trend is different. The US war against Russia, plus the economic recession, are enhancing, not hindering Russian listener tastes. 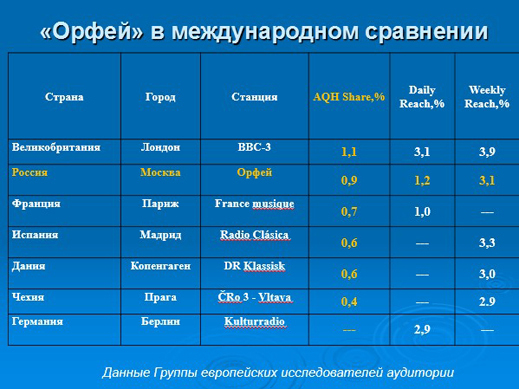 The new Moscow classical music numbers put Radio Orfei second only to BBC Radio 3 for audience size (measured daily and by the quarter-hour) in Europe. Orfei appears to be the only radio in Europe to be fast-growing. The consensus in the UK and US among music critics, broadcasters and advertisers has been that the radio audience for classical music has been shrinking. Part of that problem has been the measurement technology, which has been failing to detect radio signals. Then there’s the problem of the medium – sales of classical music on disc have been stable, while other genres of music have declined sharply in sales. But that’s because of internet broadcasting, digital streaming, and new listening systems like Sonos, TuneIn and Spotify. Classical music doesn’t benefit from all internet systems, though. Because listeners to classical music generally listen once to long pieces, compared to the audiences for pop who repeat the same 3-minute selection many times over, streaming systems like Spotify aren’t as profitable for classical music. Instead, this helps to sustain radio stations like Orfei. 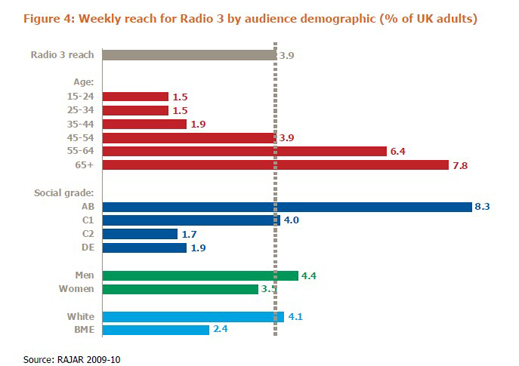 A close look at the audience figures for the UK’s two classical music radio sources, BBC Radio 3 and Classic FM, shows the BBC audience is holding its own, with a slight increase in audience numbers and total audience share over the past decade. Classic FM, which runs advertising, celebrity announcers, and André Rieu, has been losing audience in both number and share. Outside Moscow, Radio Orfei broadcasts in 10 Russian regions, and technically it is estimated that about 19% of Russia’s 145-million population are within earshot. No reliable measurement is available, however, for the audience number or reach of Radio Orfei across the country. It is likely that Radio Orfei exceeds BBC-3’s national audience of 2 million. It is less certain that the all-Russian audience beats the all-British audience of 7.5 million. More certain is the trend line – in Russia the classical music audience is growing; in the UK and the US it is shrinking. Classical music critics in Russia put themselves in the same prima donna class as their British and American counterparts. They concede they don’t know why the trend is up and heavenwards on Radio Orfei; hellbent downwards on BBC Radio-3 and Classic FM. They also don’t know why the classic Russian composers are rarely popular on BBC-3; while on Classic FM, Rachmaninov’s Piano Concerto no. 2 runs a close second in the 2015 Hall of Fame to Vaughan Williams’s Lark Ascending. On the other hand, the growth rate for Radio Orfei’s audience did slow down last year. According to Serezhenko, the rate in 2014 was 12. 3% over 2013. But in 2015 the rate dropped to 6.4%. This may not reflect falling incomes among listeners so much as falling state funding for programming of live and recorded music, as well as expansion of broadcasting reach across the country by conventional radio and by internet. Is it true that the more money the state spends on radio, and on classical music education, performance and broadcasting, the bigger the audience for Radio Orfei? No expert on Russian classical music is willing to say. The BBC has just announced that it will cut its budget this year for Radio 3 to £38.4 million, down from £40 million in 2014. This year’s Russian state budget for media was reported last October, and it reflects expenditure cuts caused by the general economic contraction and falling state revenues. The RT television channel takes the lion’s share of the broadcasting budget – Rb19 billion, 24% of the total media allocation of Rb80 billion – and together with the Tass news agency, it has suffered from the impact of rouble devaluation in 2014. A breakdown of state funding for radio, and the line item for Radio Orfei, are not publicly available. 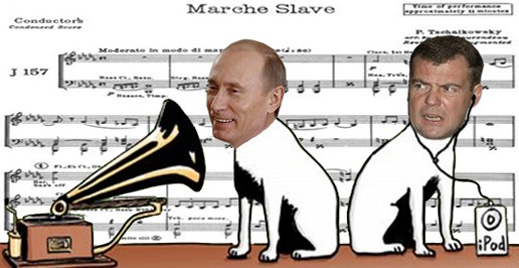 Fewer roubles, combined with the devaluation, will mean less money to pay for foreign broadcasting and recording rights of non-Russian music.